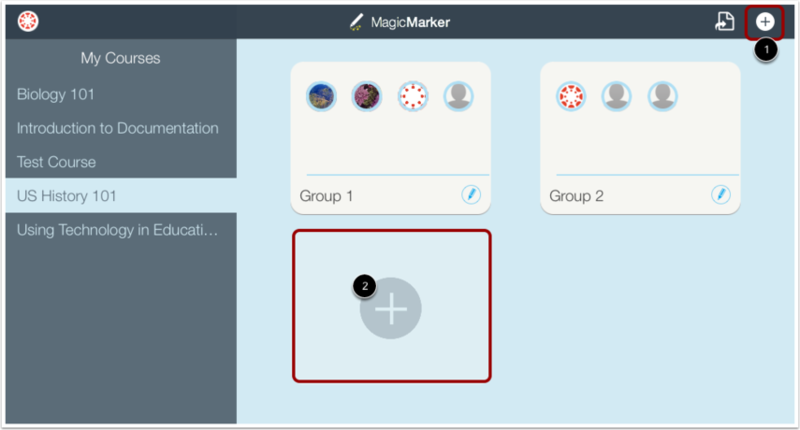 The MagicMarker app helps you create student groups and assess them based on outcomes in your course. Your courses appear on the left side of the app. These are all the courses available to you in your account. When you tap a course, a light blue bar appears over the course name to show the course you are viewing. Once you have selected a course, any tables created for the course appear on the right side of the app. Once you have created tables and assessed students, you may want to export the table data for a course. To export table data, tap the Export icon. Note: Student assessment data is also populated in the Learning Mastery Gradebook. You can add a table to your course by tapping the Add button  in the menu bar. Or you can tap the Add button  in the table view area. To get help with the app or log out of the app, tap the Profile button . To get help, click the Help button . To log out, tap the Logout button . 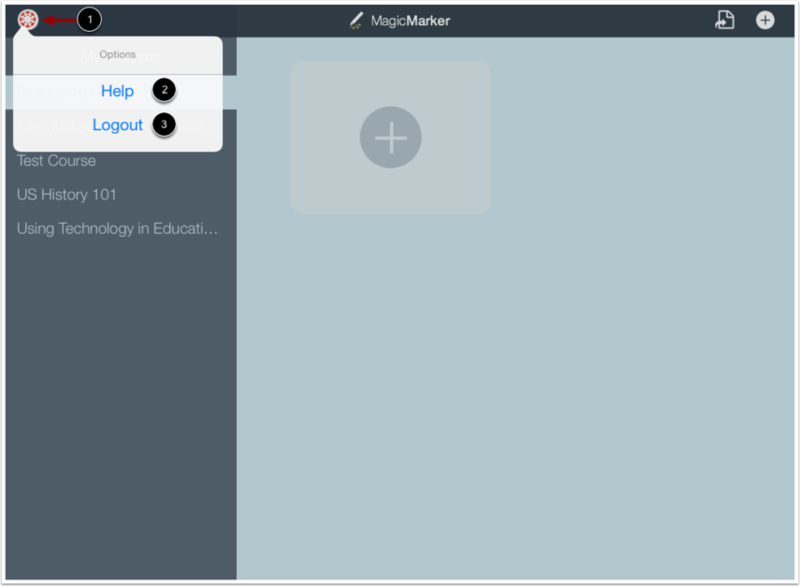 Previous Topic:How do I log in to the MagicMarker app? Next Topic:How do I create a new table in MagicMarker? 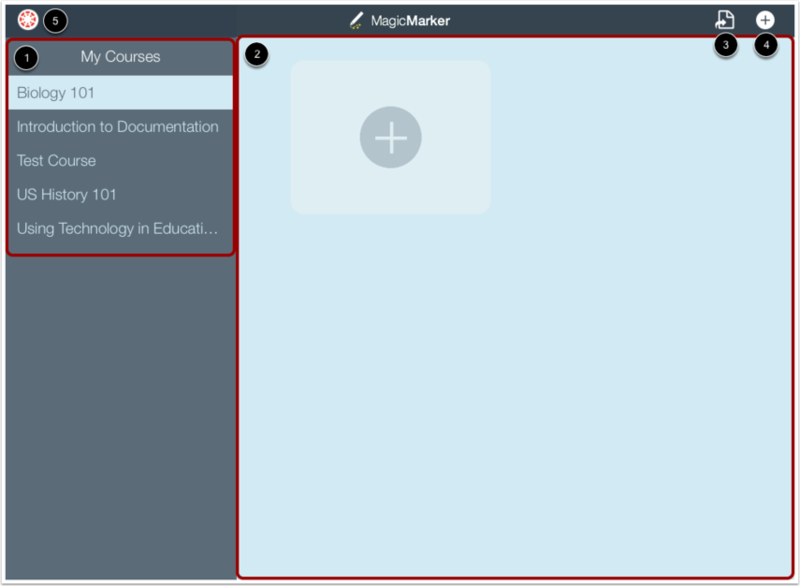 Table of Contents > Instructors Only > How do I use the MagicMarker app?